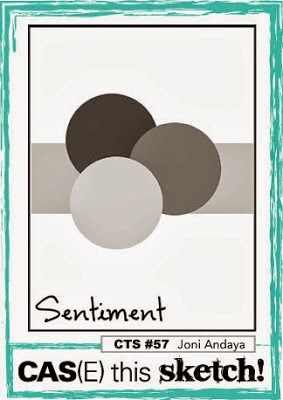 Mary Marsh is hosting the Color Challenge on SCS: Black, White and Silver with a dessert option to create a celebration card (new year, wedding or birthday). I decided to go with a wedding theme and created this quick and easy CAS design. I used SU's Framelits Hearts Collection to die cut the heart. Love this new chevron glitter cardstock that I found at a recent trip to Michael's! The tiny key is from a Die-namics set by MFT that includes a variety of locks and key shapes - so fun to add as an embellishment! The sentiment is from Verve's "Love Notes" set (isn't that font so awesome?!). Speaking of Verve...this is the last day for Julee's big year end sale...check it out and save big! Not only is it the last Monday of the month...it happens to be the last Monday of the year! That means the Mojo Monday challenge is a circle or square creation. In thinking of a new year getting ready to make its debut, I couldn't help but focus on one of my favorite Verve Plain Janes - Jeremiah 29:11. I stamped the numbers and sentiment using Versafine Onyx Black ink then added clear embossing powder. It results in a much more vivid black! 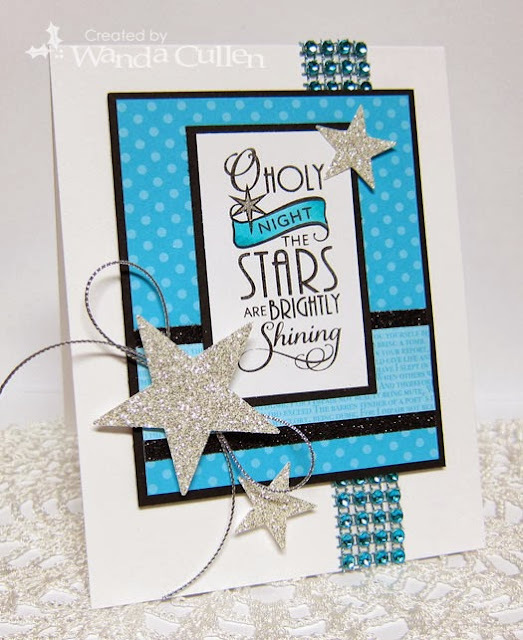 The chevron glitter cardstock base is a new product that I found at Michael's. ACCESSORIES: Flourished Trim die (Verve), Fanciful Flourish (Cheery Lynn Designs), Red jute twine, Fishtail Flags Die-Namics, Brads. Good Friday everyone! I have a quick and simple card today...using a scrap from my gelli print pile that I created months ago. This large fern image was "stamped" by brayering acrylic paint on a gelli plate, then placing a 6x6 Mini Ferns stencil by TCW over the gelli plate and pressing paint to the stencil using the brayer again. I then picked up the stencil and "stamped" it onto white CS - resulting in the above background. 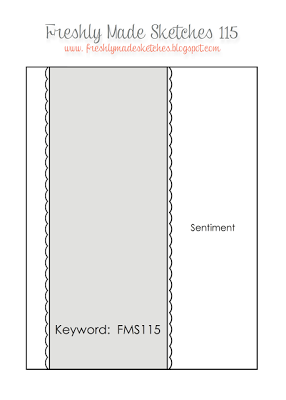 The layout is for the current (CAS)E This Sketch Challenge. I'm also playing along with the Free 4 All challenge on SCS today that has us reviewing all of the 2013 challenges and picking one. 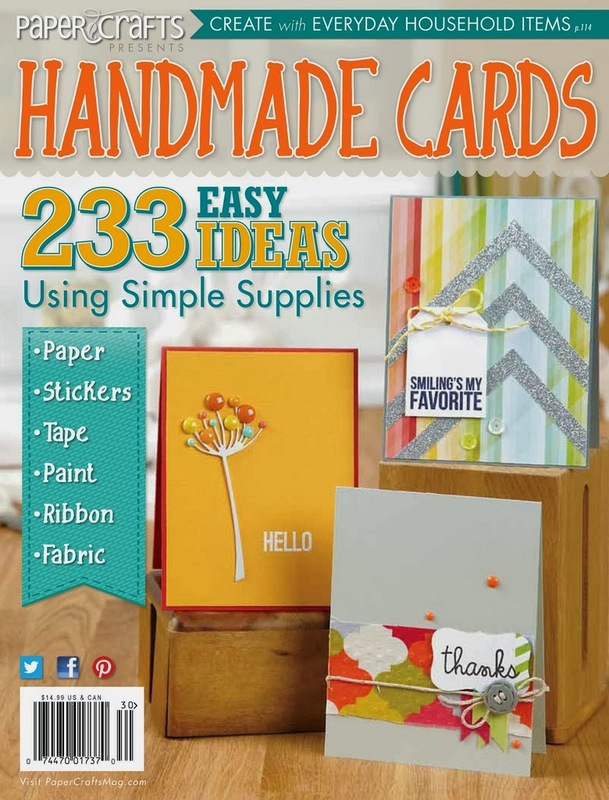 I chose the 6/28/13 challenge to "Think BIG" (use a big embellishment or stamp). 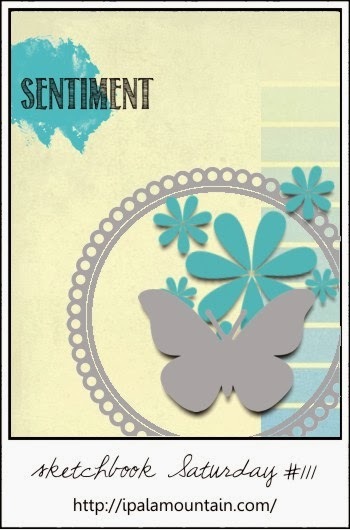 STAMPS: Blooming Button Bits (PTI). ACCESSORIES: Jute twine, Wood veneer leaf, Fishtail Flags Die-Namics (MFT). card simply didn't turn out like I envisioned, but it is what it is. 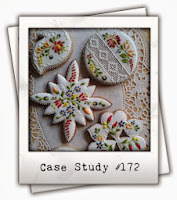 I used Chupa's layout for the Sketchbook Saturday Challenge and was inspired by the folk art photo for the CASE Study Challenge - a posting by Cath Edvalson, the current Moxie Fab muse. These colors are rather unusual, but thought they were appropriate for the colorful folk art theme I was going for. Merry Christmas and good Monday morning to all my blogging friends! If you need a break from all the preparations of the season, join us in the Mojo Monday challenge. 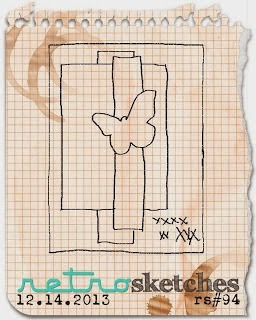 Teresa has a really fun sketch with some wide open space that leaves it open for SOOO many possible creations! I reached my saturation point with Christmas cards, so moved on to a possible Valentine or anniversary card...sentiment pending on the inside of the card. 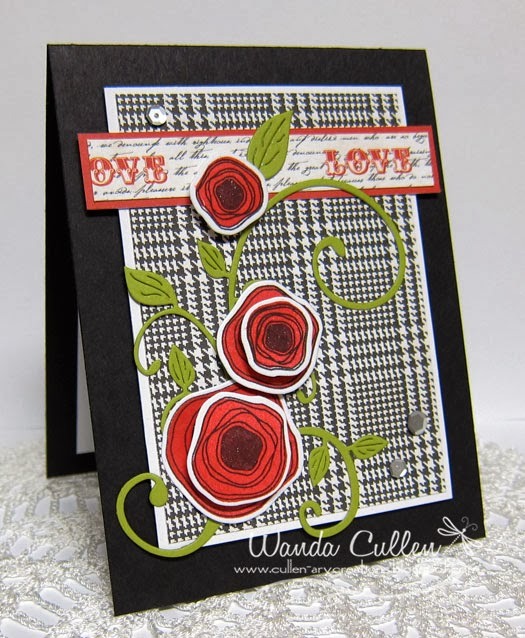 :-) I rarely use black for a card base, but thought it worked well with these poppies on the hounds tooth panel. 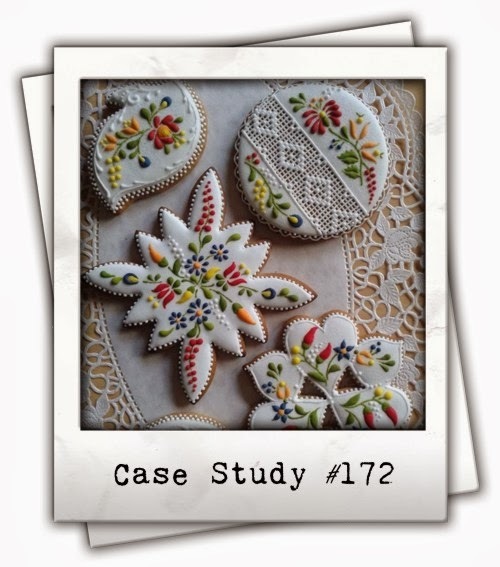 I resurrected my well loved leafy flourish die and popped the flowers in varying heights using foam dots. I added some shimmer to the veins in the leaves and to the flower centers with a Wink of Stella clear glitter brush pen. A few silver sequins by Avery Elle finished it off. PAPER: Yours Truly 6x6 pad by Echo Park, Black, White, Lucky Limeade. INK: Real Red, Versafine Onyx Black. 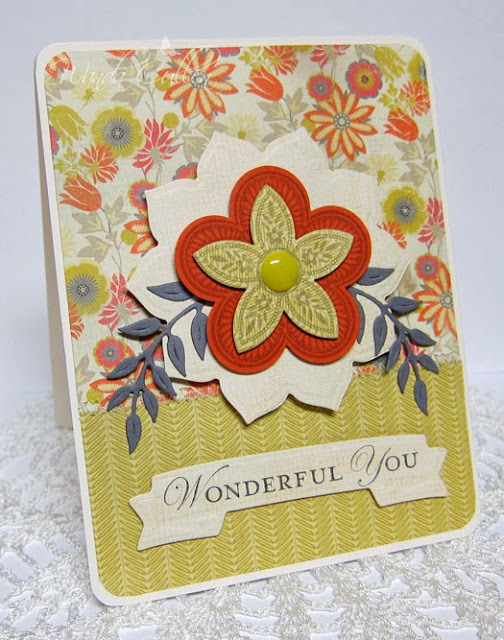 ACCESSORIES: Build a Poppy die by Verve; Leafy Flourish die by Cheery Lynn Designs. For more inspiration, be sure and swing by the blogs of the rest of the mojo makers below...or...you can check out the first few thumbnails on the Mojo Monday blog to see what they've created! ...one of my fave Christmas songs. When I saw today's Sketch Challenge on SCS, I knew I wanted to highlight this sentiment from Verve's "Peace on Earth" set. Would you believe my card plan all started with this turquoise bling?! I used Scor-Tape to adhere it to the base. I paper pieced the "night" portion of the sentiment after coloring with Copics (BG45, BG49) then highlighted the star using Wink of Stella's silver shimmer brush pen. Stars were punched out from SU's silver glitter cardstock. And...to continue on with the shimmer and shine, I added two strips of black glitter tape under the horizontal strip. "What makes Christmas?" I asked my soul. Come in the spirit and heart of a Child. 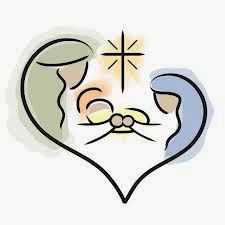 it is not Christmas at all unless the Christ Child be there." Another quick post for a card inspired by Stacey's great photo for the Curtain Call Inspiration Challenge! You know I can't resist using snowflakes again. 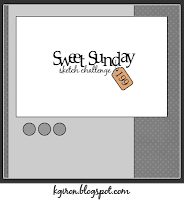 I'm also playing along with the Retro Sketches Challenge...LOVE this simple layout! This was a quick one to put together with the only stamping being the sentiment in Pool Party from the Reverse Confetti "Tinsel 'n Trim" set. PAPERS: "Merry Little Christmas" by MME, White by PTI, Silver glitter CS by SU. ACCESSORIES: Bigz Snow Flurry die by SU, Corner Chomper, Button. Good Tuesday morning! Before heading out to a dental checkup, I'm posting my creation for two color challenges that just happen to have the same colors chosen! I thought I could kill two birds with one stone and went with the fun Reverse Confetti "Tinsel 'n Trim" set yet again! 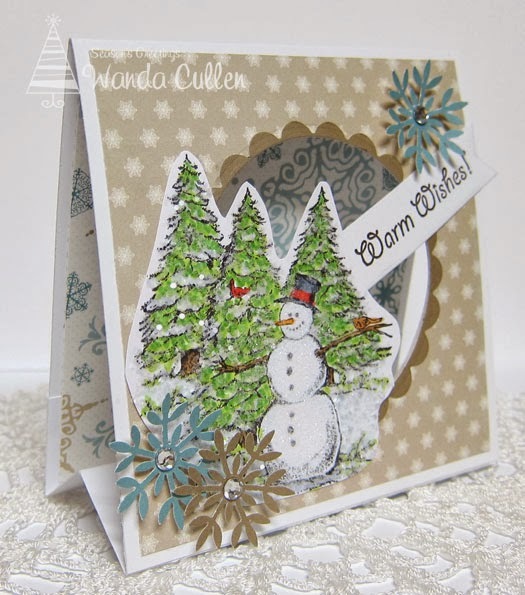 I've used this set for the majority of my Christmas tags...so fun to coordinate with the tag die set - also by RC. I loved that the BG paper echoed the gumballs in the photo. I think it's pretty self explanatory, so won't bore you with the step by step details. PAPERS: Merry and Bright by Carta Bella; Silver glitter CS by SU; White by PTI. INK: Gumball Green, Real Red. Good Monday morning! It's time for another Mojo Monday Challenge and this time, Teresa is the creator of this fun sketch! I went a little country with these papers from Recollections' "Holly Day Wishes" pad and some jute twine. The snowman is nothing but 3 Nestie circles with a hand cut nose and a stamped mouth from Verve's "To the Moon" set. The scroll is a Plain Jane and the sentiment and gloves are from Verve's "Winter Mittens" mini set. If you need some more inspiration, be sure and swing by the blogs of the rest of the mojo makers below...or...you can check out the first few thumbnails on the Mojo Monday blog to see what they've created! 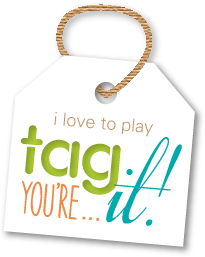 Sure hope you can take some time out of your busy schedule and play along with us! 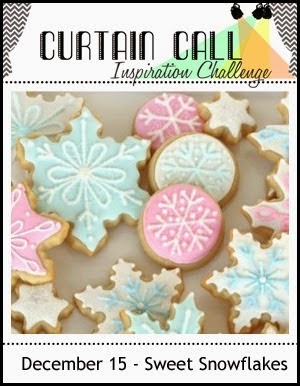 CAS-ual Fridays - use snowflakes or snow. 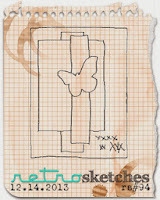 CAS(E) this Sketch - great layout by Joni Andaya. 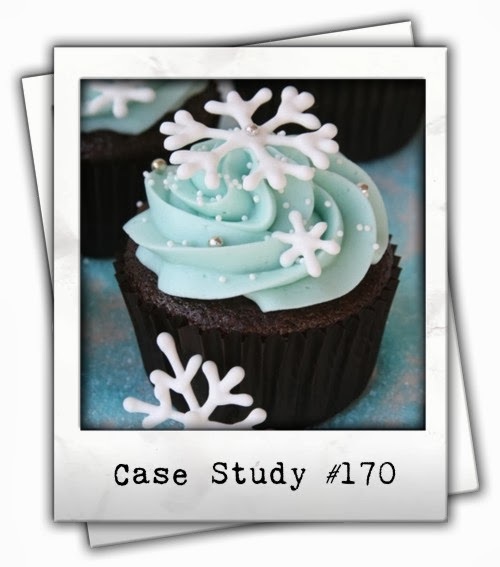 CASE Study Challenge - be inspired by this photo from Cath's Moxie Fab World. Free 4 All on SCS - be inspired by a Christmas song or lyric from a song ("let it snow, let it snow, let it snow" is my inspiration). perfect for the colors - blues/browns - for the CASE Study challenge. I love me some snowflakes for winter cards, so this was a no brainer. The largest flake is an EK Success punch; the off white flake is a felt embellishment I've had for years and don't recall the source; the smallest flake is a Martha Stewart punch. Bling is all by SU. The sentiment was stamped in Chocolate Chip and fussy cut (from the Verve "Merry Wishes" set). There you have it...a quick and easy CAS design. Off to run some errands...thanks for stopping by! It's been awhile since I've joined in with the Our Daily Bread Designs Shining the Light Challenge. One of my fave images is this snowy scene which is fun to color and glitter up, so I knew I wanted to play along this week! 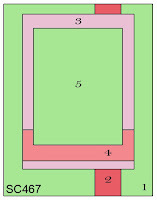 Their challenge is to create an alternate fold card or 3D project, so I went to the SCS tutorial pages and found Beate's directions HERE to create a tent card. It was so easy and it's a fun way to easily display your card as part of your home decor. ACCESSORIES: Snowflake punch by Martha Stewart, Coarse and extra fine glitter, Fishtail Flags Die-Namics by MFT, Rhinestones by SU, Copics, Circle and Scallop circle Nesties. Don't you just LOVE this delightful color combo that Broni has thrown down for us this week?! I embraced them for another Christmas card and was in love with the non-traditional color combo! 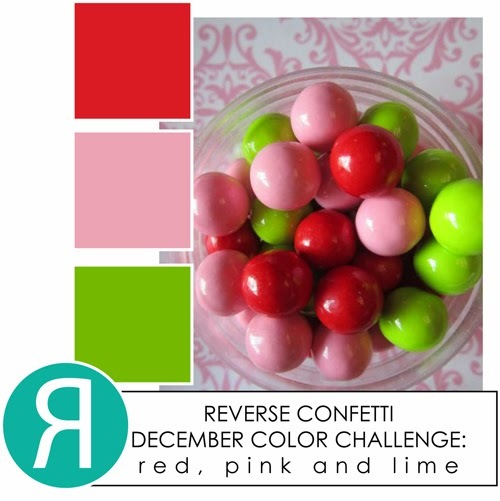 This is the last Color Throwdown challenge for 2013, but be assured we will be back in 2014 with more awesome colors and a new guest designer! 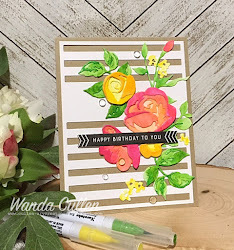 I want to thank Cindy Lawrence for her gorgeous card samples the past two months! She totally rocks! 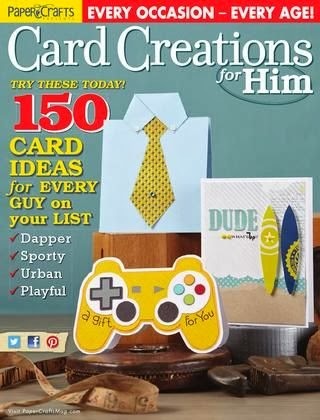 This card is all about favorites for me. Anyone following my blog knows I love this SU Gorgeous Grunge set for fun backgrounds. 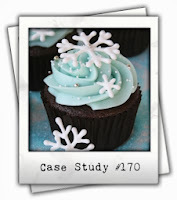 The snowflake die is another favorite winter element that is so fun to layer. I also love the funky fonts in Julee's Joyous Noel stamp set (Verve), so couldn't resist using a sentiment from that set. I'm a big fan of Chupa's Sketchbook Saturday Challenge and the current one really jumped out at me. What a great layout! 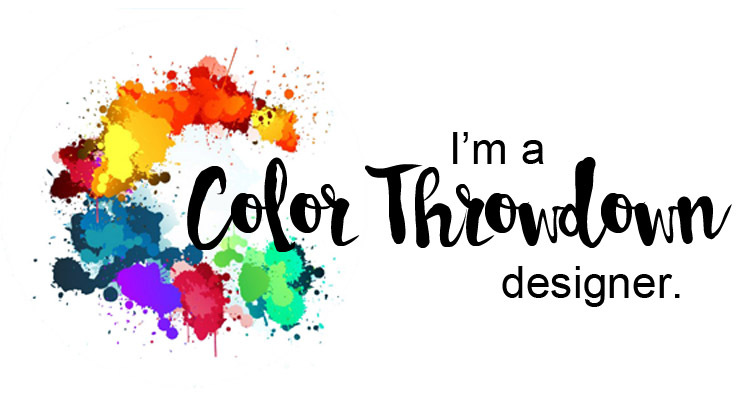 Remember...to play along with the Color Throwdown challenge, you don't have to use exact colors - just something that's close. If you upload to a public gallery, please use the keyword CTD 272 and also link up your card on the Color Throwdown blog using the linky tool. 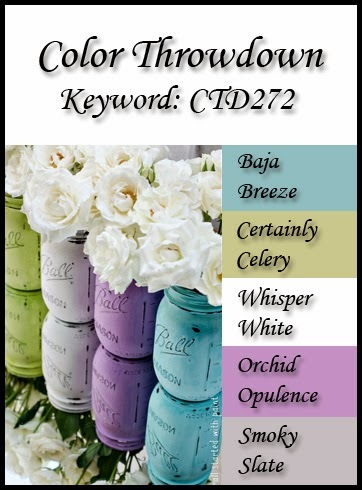 PAPER: Smoky Slate, Baja Breeze, Certainly Celery, Silver glitter CS (SU); White by PTI. ACCESSORIES: Rhinestones by SU, Bigz Snow Flurry die by Sizzix (SU), Button by SU, Silver cording. 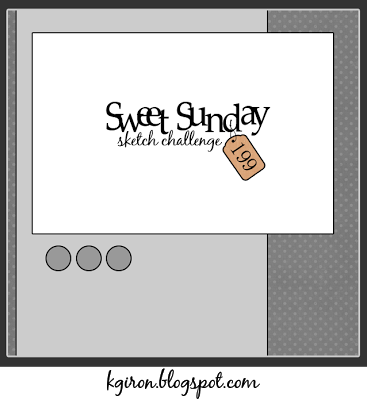 I'm using a flipped version of Karen Giron's Sweet Sunday Sketch Challenge along with Peggy's Color Challenge on SCS to use Pistachio Pudding, Crisp Cantaloupe and Crumb Cake with the dessert option to repeat something. 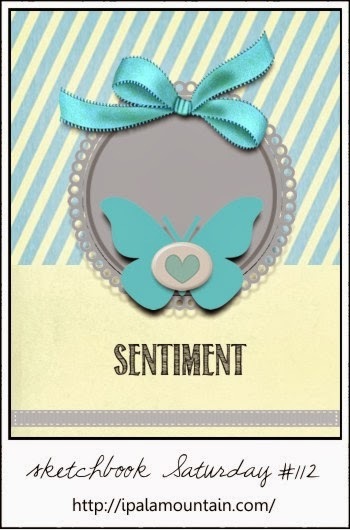 In my case, I die cut two sentiments and layered them for a shadow effect. I used two different embossing folders for the background and added some Groovy Guava grosgrain ribbon which is a slight shade darker than Crisp Cantaloupe. 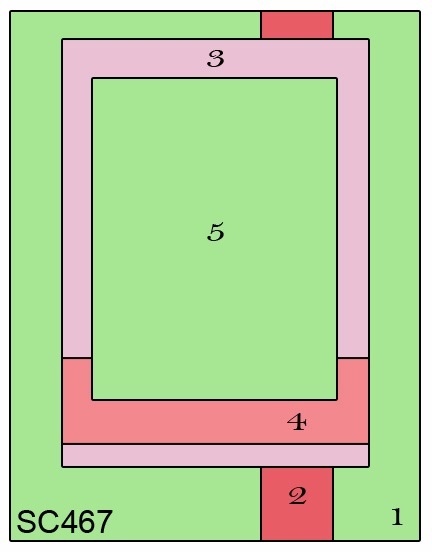 The entire card is 5 1/2" square. The image was colored with Copics and highlighted with a clear Wink of Stella glitter brush pen. 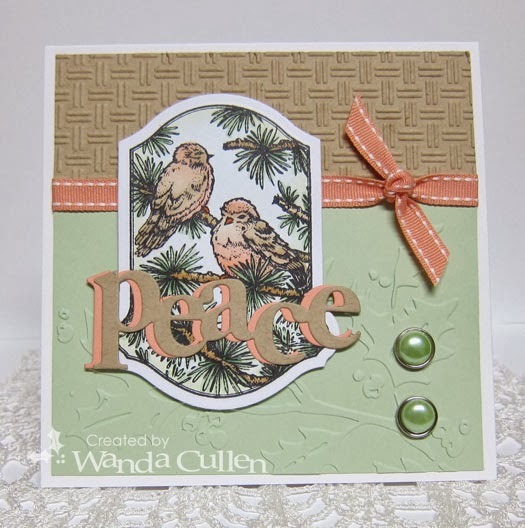 ACCESSORIES: Classic Keyhole Template die by Flourishes, Peace sentiment die by PTI, Grosgrain ribbon by SU, Brads by Recollections, Basket weave EF by Lifestyle Crafts, Holly EF by Cuttlebug. There's a fun Diva Dare theme on the Verve blog this month! 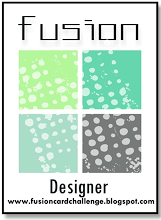 We have the option of choosing a favorite 2013 Verve creation or creating a new card! Since I'm needing to stay in Christmas mode for new creations, I'm going with the first option to choose a previous card that is a favorite of mine. 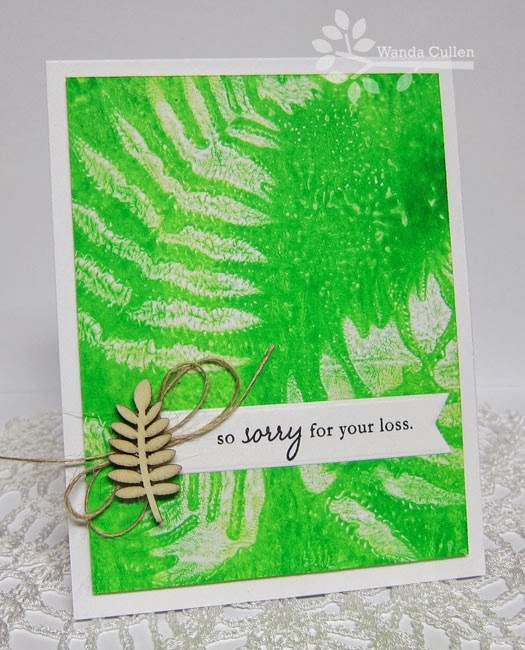 Well...that was no easy task, because there are so many fave Verve sets, but I went with this card from a Mojo Monday sketch challenge on July 29. 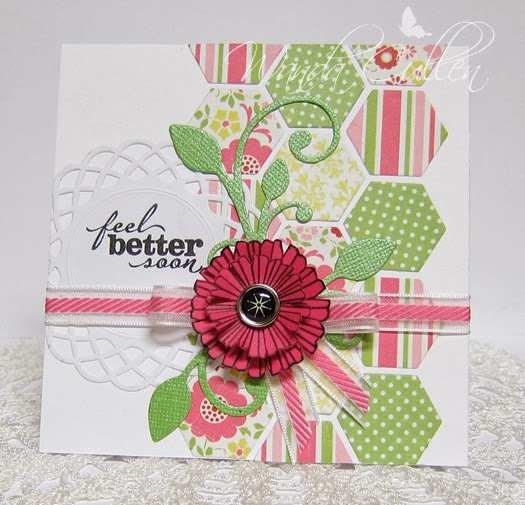 ACCESSORIES: Melon Mambo ribbon (SU), Brad, MS tag, Hexagon Die-Namics (MFT), Large leafy flourish Die-Namics (MFT). It's an icy and cold Monday morning and I'm content to be in my jammies without having to go in to work today! Last evening was a stressful drive home from work and even more stressful was the walk getting to my car in the parking lot! Ice everywhere! I'm thankful for no falls and no loss of power! I'm determined to get my Christmas cards addressed today and decided to play with two different challenges to add another masculine card to my stash. 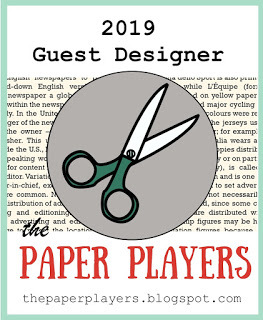 This is for the CAS-ual Fridays Challenge to feature a tree or trees and it's also using the layout for the Freshly Made Sketches Challenge. I already had this tree die cut and sponged from a previous project, so it was a quick decision to add it as the focal point. The rusty jingle bells and twine seemed fitting for the masculine papers. Thanks for stopping by...as always, I appreciate your comments! 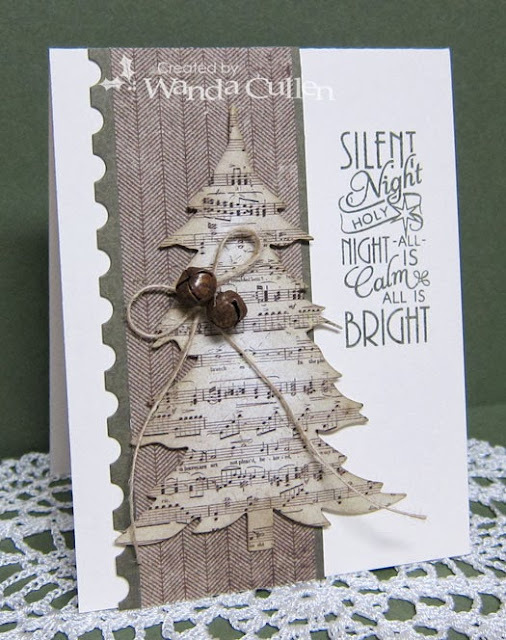 ACCESSORIES: Christmas Tree #2 by Sizzix, Rusty jingle bells, Jute twine, Postage border Die-Namics by MFT. The month is movin' on out and it's already time for another sketch challenge on the Mojo Monday blog! I'll have to admit, my mojo was in a slump with this layout, but I soon decided to create my own patterned paper by using 4 different sized snowflakes from Verve's "Christmas in the Air" set. 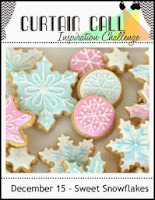 I only used two ink colors - Lucky Limeade and Regal Rose - and stamped off once with two of the snowflake images. 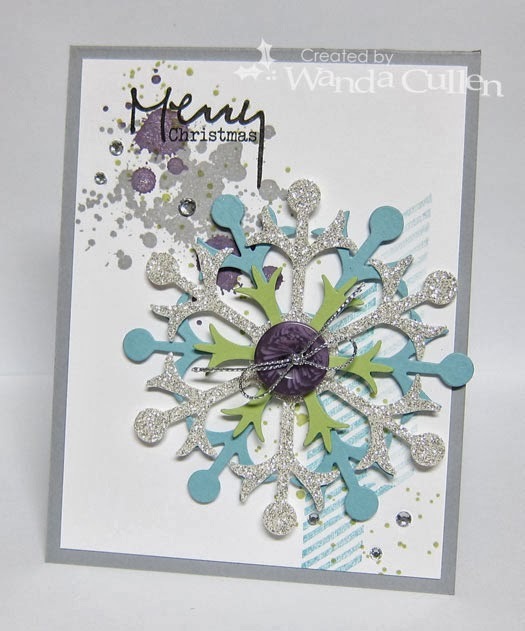 I layered up some die cut snowflakes (SU), silver embossed the sentiment from "Bright Spirits" and added some bling.